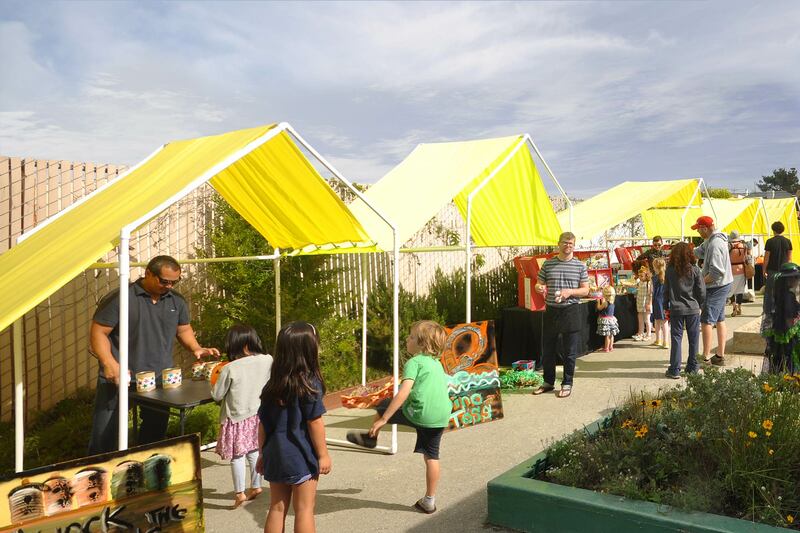 The Pre-School in San-Francisco’s Sunset District was looking for an installation for their many festivities and fund-raising events that are happening throughout the year. 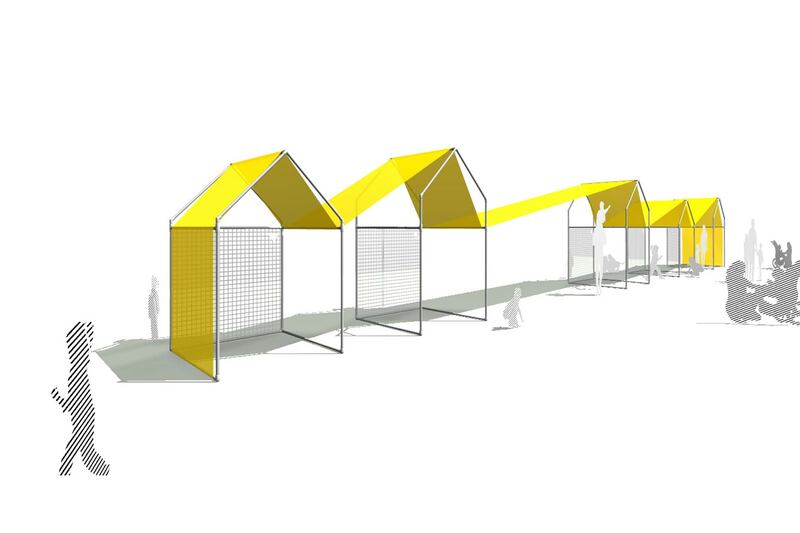 The request was for multiple smaller booths that would house a number of kids playing activities and book sales. 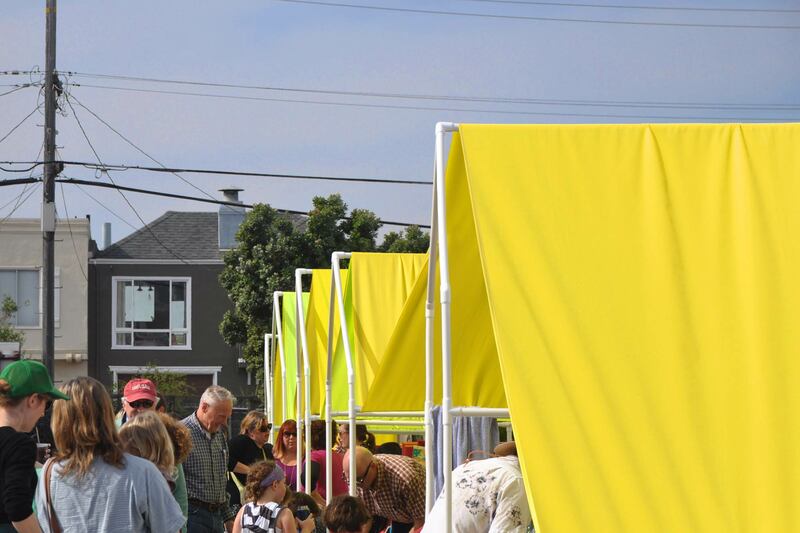 Our approach combines the different activities into a more holistic larger structure that is still identifiable through a repeated house typology that functions as a structure for a large yellow canopy giving a strong distinctive datum to any event. 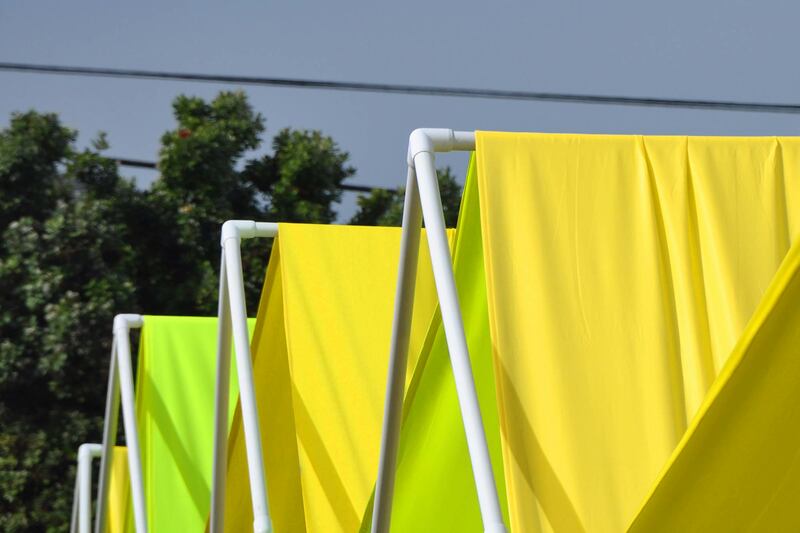 The modularized elements of the structure can also be used individually or in groups allowing for multiple setups during different types of events.